If you search for Delta metal only business class flights from Paris to Atlanta in July you will find NO seats at the lowest award. That is, according to the deleted award charts, “LEVEL 1″should price out as 62,500 SkyMiles for such an award. You will see a few days with “LEVEL 2” awards, that is, “OL” awards for 80,000 SkyMiles. So the outbound you found as a Delta award at mid level, including a low level on the partner, and you paid the higher award of the segments Delta charged but nothing “extra” other than the highest common denominator. Yes, it hurt but so be it. On the return you found all Low level and thus the total award price as you see. Next there is the major bit of info you always, both then and now, must understand and that is partner award pricing must always, always, always be at the lowest level, or for us now LEVEL 1, for us to get it. If there is not LEVEL 1 space then no space is available to SkyMiles members. This was true then and is true today. Before, you could go jump on Delta.com in the multi-leg search and simply, after you did the hard work of finding the lowest level segments you wanted, including stopovers that were allowed back then, plug them in and Delta.com would spit out the correctly priced award ticket. Lots of work, yes, but you could get real value out of your SkyMiles and the Delta.com award page just WORKED. I cannot stress this enough. You could make it WORK! Now you just get an error and have to call and play rep roulette and most reps are nowhere near good enough to understand how to get things done. Now here is where we are getting to the shocking change that is yet one more MAJOR crushing unannounced devaluation with SkyMiles 2015.
you will not get a ticket priced as just one “ticket”! with a partner, will price as TWO (or more) tickets. Yep! One of the major issues that we have found over and over, and I thought it was just Delta.com making a mistake, is NOT a mistake but a planned way of booking tickets. Even if you find LEVEL 1 space on partners, unless you find corresponding LEVEL 1 space on Delta metal you will be paying for two SkyMiles award tickets, that is one ticket for the partner at Level 1 and one ticket at whatever level award on the Delta segment(s). Can you fully comprehend how horrid this is and what a massive hidden devaluation we now have with the 2015 SkyMiles program? My level of frustration over this is off the chart. There is no way even to spoon feed a phone rep segments now unless you are able to find Level 1 award space on Delta metal and partner metal segments. Can this get any worse? Well, believe it or not, yes it can. We know Delta reps do not understand the rules. I was told just yesterday that an international stopover must be less than 12 hours (it is less than 24 according to Delta.com btw). Since we can no longer use Delta.com to assemble awards we must suffer with what a Delta rep tells us and most times it is just wrong. Not just that, Delta CORP has taken away the power to fix things when clearly the computers are not pricing tickets as they should per the rules. Folks, we are in uncharted (no pun intended) waters now. The facts are for SkyMiles 2015 unless we can find level 1 across the board, we are often paying for 2 or 3 award tickets that should price as just one. I guess the promise Delta made for 2015 of more tickets at a lower SkyMiles price meant paying for multiple tickets per trip at a lower price than before compared to just one! – René. Interesting. Haven’t really noticed that “feature”. ATL to Rome(FCO) on Delta metal at the low level is a unicorn. However, there are many days one can transit via CDG or AMS(and DTW) on AF/KLM(no thanks). Turns a simple 9 hour flight into a one or two stop, 16-18 hour ordeal. There are a few days to FCO on both carriers via JFK and the odd day on AF from ORD and MIA. Surprisingly, I’ve seen a bit of availability from ATL and JFK to FRA and MUC and back to even smaller towns. All on Delta metal for obvious reasons. The 2 ticket pricing didn’t seem to pop up. Perhaps that’s my inability to search for anything other than over water segments in most cases. for me (I don’t have a lot of Delta miles) being able to buy one-ways more than outweighs these issues. However: on UA also you cannot mix a high “standard” award with a saver level flight on the same leg (and all partners are only at saver level. So, if the main transatlantic flight is a partner flight at saver level, you cannot connet a UA domestic segment at standard level to it. However, the other way around, if the main interconintental flight is standard level UA, connecting to a saver partner flight, works. Thankfully there are only two award levels for UA-operated flights (saver and standard), not those other 3 intermediate levels that Delta now has. That’s where Delta dropped the ball — if you create so many new award levels, then you need to create a system of tickets where they can be combined. Frustrating. Makes you even wonder more if this current state of SM isn’t a waypoint onto something else as this seems so messed up. More and more it seems we need to develop a strategy to generate elite status on the airline but credit all the rest of our spend/travel elsewhere. Rene! All these years I thought you had to have Level 1 (Saver) on the Delta legs to make it price correctly!!! I was worried the phone agents wouldn’t be able to piece together custom itineraries at all!! That would be the big disaster!!!! @Greg – You 100% can, as long as all level 1 across the board, do leg-by-leg. I did one a few days ago and was perfect. Just takes time a the right agent to see it and book it. I agree, if THAT goes away we are talking complete disaster and drop in the remaining value of SkyRubles! hey Rene – love your blog. I’m not sure I agree that this is “shocking”. Delta has purposely devalued skymiles (many examples) and made them easier to earn for high-revenue passengers (being a biz class flyer I’m actually better off). Delta basically is telling low revenue customers they are not as valuable to the corporation as high revenue customers. It’s a crappy upsetting message but fundamentally not surprising. ah yes, but DAL stock prices keep ascending! Rene, some comments show that delta’s strategy is working. Most customers can’t tell when they are being ripped off, and even some who do recognize it don’t care. Thanks for your hard work exposing these massive, incessant and unannounced devaluations. @rene – respectfully disagree. In round numbers a round trip from west coast to Western Europe used to yield about 30k earned miles. Now it’s 75k. I don’t know how to exactly figure out the factor of devaluation but I suspect it’s less than 2x. I had luck finding more availability going to Pisa, rather than Rome last year. The train station to FCO is right in the airport. I don’t know if that will help you or not. burned my last 180k over the last few weeks on a couple of VS and Aeroflot trips for me mom. Never looking back. Bye bye delta. AA exp now. If they change then Alaska here I come. We will continue to fly DL (actually love their service) but won’t go out of my way to pick up more SkyRubles. Delta has been my airline for as long as I can remember. I flew my first unaccompanied flight with them when I was eight. Now I’m twenty and about to make silver medallion status. You could say that my loyalty to them is somewhat unhealthy, but I’m nearing my limit. I’ve been banking towards the 125K needed for a transatlantic business class ticket, but that same ticket now costs 220K+. As a silver, they won’t even bother to send me brag tags, or a physical membership card. Delta’s hard and soft product is the best among the legacy carriers, but it’s pretty clear that my loyalty is not valued anymore. That being said, I’m not ready to switch to American, and I refuse to even look at United. I guess that for better or for worse, I’m stuck with Delta. I redeemed a partner-only award. Leg-by-leg the all available Level-1 segments, I called phone agent and got a correct pricing. 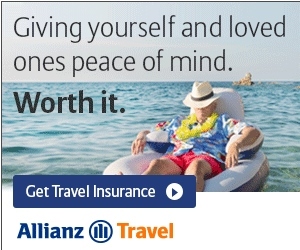 This can’t be done on delta.com. I called the Diamond Desk and asked for help, a seasoned agent did understand the mix-ed metal issue, but there wasn’t anything she could do. Instead, she said she could issue the ATL-JFK segment in coach at level 2 and I could hope for an upgrade. I took the opportunity to get 25k back and ended up paying 90k for the mixed class routing (ATL-JFK in Y class) JFK-ICN-SIN in J Class). I did get the upgrade out of ATL and enjoyed the new SkyClub in JFK. However, I don’t feel like I got a great deal here.